Exchange of ideals and blows: The Westland Row church prayer-in of August 1968 | Come Here To Me! « What’s in a name: Some Dublin street names that survived the chopping board. 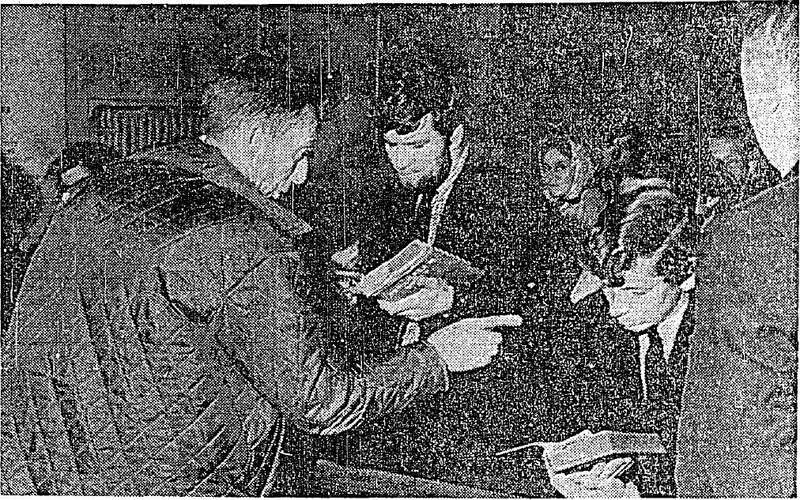 On the 27th of August 1968, a group of left-wing Christians were attacked and harassed by local parishioners in St. Andrew’s Church, Westland Row after they attempted to hold a public prayer meeting. The meeting, organised by the Irish Christian Socialist magazine ‘Grille’, was attended by around forty-five people including my uncle Michael and my granny. The first issue of this magazine was launched the previous month and had sold 1,000 copies. It was produced by a nine member editorial board made up of John Feeney (Secretary), John Byrne (Co-Ordinator), William Ledwich, Aoife Kearney, Erwin Struntz and four others. They were not granted permission to use the church nor did they ask for it as they felt all practising Catholics were already part owners of all churches. After gathering in a side alcove, a member of the group opened the proceeding with The Lords Prayer and then read from the Gospel According to St. Matthew. At this point, a man jostled him and knocked the bible out of his hand. A woman, who later transpired to be the aggressors wife, tried to calm the situation telling her husband ‘You’re making a show of yourself. Let them go on with it. It’ll all fizzle out’. Meanwhile a group of ten men, moved in on the ‘Grille’ group pushing them about, throwing punches and pulling women’s headscarves off their heads. Activist John Byrne was punched in the mouth as he was singing a hymn. For reasons of safety, the group moved the meeting to the University Church, Stephens Green where it passed off without further incident. John Feeney told the crowd and waiting journalists: ‘We have been demonstrating against the misuse of authority by the Pope; in his encyclical on birth control; and the misuse of authority by the Russians with their tanks and guns in Czechoslovakia. The people who attacked us earlier in Westland Row showed violent disrespect for authority and the church; exactly the failing they attribute to us.’. 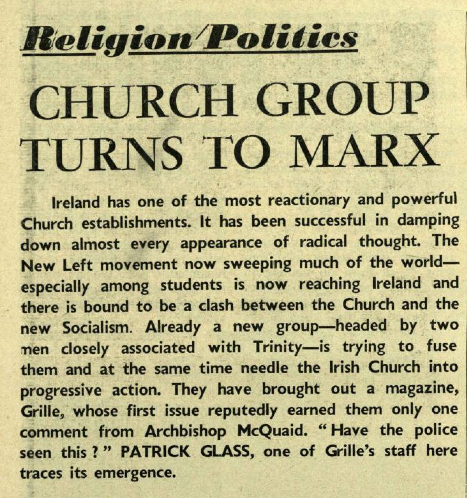 The Irish Christian socialists of ‘Grille’ magazine continued its activity in the late 1960s. It organised a picket and fasting outside the Garda Club on Harrington Street in September 1968 during a visit of Chicago Irish-American police officers. This was in the immediate wake of the police brutality against demonstrators outside the Democratic Convention in Chicago. In April 1969, they were part of the forty strong picket which clashed with Gardai outside RTE’s studios in Donnybrook during an appearance of bigoted Conservative MP Enoch Powell who was a guest on The Late Late Show. The last reference to the group is from May 1970 when it co-organised a picket at the US embassy, attended by 600 people, after the American invasion of Cambodia. 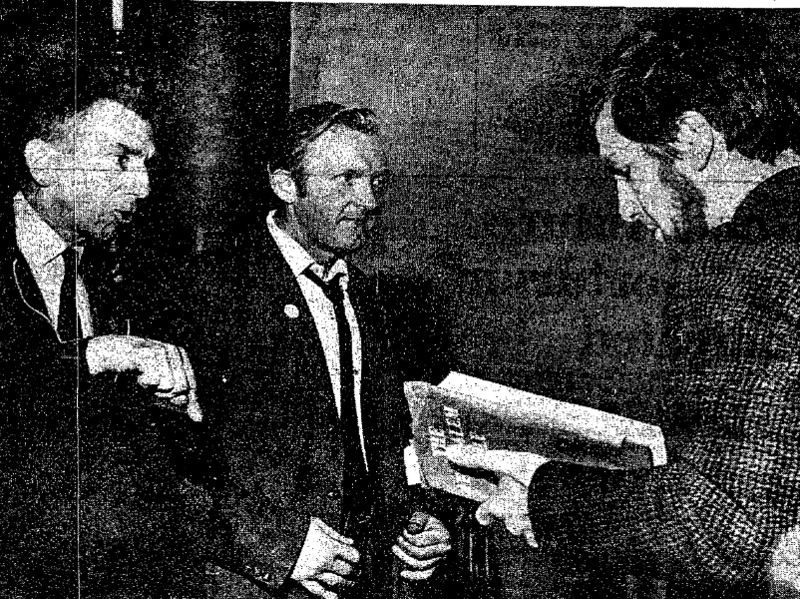 John Feeney (1948 – 1984), a leading student radical leader in UCD, went to work with the Irish Press and and later resigned from his role as researcher on the ‘7 days’ RTE programme. He was dismissed as editor of the Catholic Standard but later became a leading columnist with the Evening Herald. He died tragically in the November 1984 Beaujolais Air Crash which killed nine people. The private airplane was traveling to France for the annual ‘race’ to bring the first bottle of Beaujolais Nouveau to Ireland when it crashed near Bournemouth, overladen with luggage. The other eight passengers were Nial Hanley, editor of the Evening Herald; Kevin Marrow, former editor of the Dublin Sunday World and then a columnist for the Sunday World and Evening Herald; Tony Hennigan, diary editor of the Irish Independent; Pat Gibbons, owner of the Sands Hotel in Portmarnock, Co Dublin; Francois Schelbaum, manager of the Sands Hotel; Cormack Cassidy, a wine merchant; Arrigo Chichi, Italian restaurant owner of Kikis, Sandymount, Dublin and Jack Walsh, the pilot. Aoife Kearney, later to become wife of the John Feeney and mother of his five children, published a celebrated ‘savagely satirical and sexually explicit novel about modern Irish society’ called The Rule of War in 2011. One of their sons, Chekov, has written an enjoyable account of his childhood and political journey towards Anarchist politics. Erwin Struntz (1903 – 1995), a left-leaning Austrian-born journalist, escaped to Ireland from Vienna with his Jewish wife in 1938. Their getaway was planned and executed by Herbert Butler from Kilkenny who was active with the Society of Friends (Quarkers). Struntz, later became a Quarker convert, and managed the famous Unicorn Restaurant on Westland Row. William Ledwich, son of a Church of Ireland rector, was ordained an Anglican priest but resigned in 1984 in protest against the consecration of Professor David Jenkins as the Bishop of Durham. Another first for CHTM! I wonder where they came in on John Sullivan’s dialectascope? William Ledwich’s father had been a socially radical reverend in the Church of Ireland during the 1930s. I think he is mentioned somewhere in Roy Johnston’s political memoirs. You can google his name on the internet. After becoming disillusioned with the theological and social drift of the Church of England in the 1980s William Ledwich became involved in the Orthodox Church. In 1967-68 he was active in Irish campaigning against the Vietnam War. He co-published with Dr. Moira Woods (a prominent 1970s feminist) a pamphlet entitled “Ireland and Vietnam”. He died of cancer in July 2011, in Colchester. He was called Father Athanasius. Report on his passing here, with a photograph on following page. 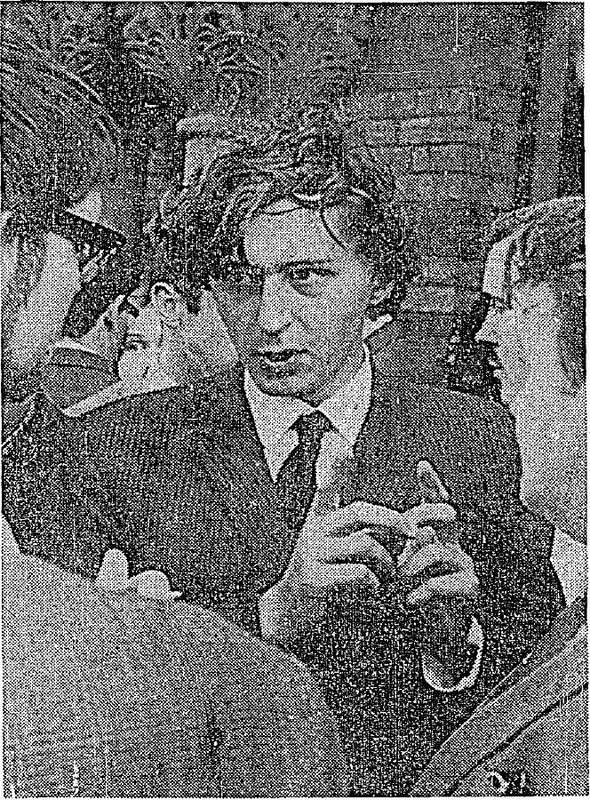 As a student at Trinity College in the late 1960s he had a beard too. R.I.P.